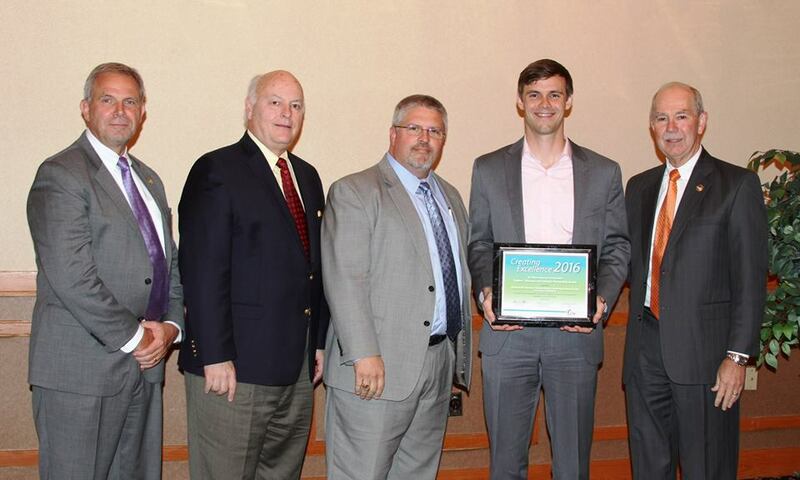 Chesterfield, VA – The Chesterfield Chamber of Commerce’s CHAMPS (Chamber Helping Achieve Meaningful Partnerships in Schools) program has been selected by the Virginia Department of Education as the Region 1 winner of the 2016 Creating Excellence Business and Industry Partnerships Award. The CHAMPS program started in the Chesterfield Chamber more than a decade ago by a small group of DuPont Spruance Plant employees who gathered other members into the effort. Today, CHAMPS continues to stand for small and large businesses engaging in the development of Chesterfield County’s future workforce. The business partner ensures that programs and curricula are relevant in today’s workplace. The business partner participates in classroom, extracurricular, and student leadership activities. The business partner provides work-based learning experiences through job shadow, mentoring, and/or internships. The business partner promotes the CTE program.